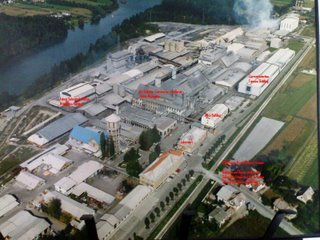 Solarvalue AG (XETRA:SV7) (http://www.solarvalue.com) completed another step in their acquisition of a controlling 90.78% stake in TDR – Metalurgija, Ruše, Slovenia through WP Profil Solarvalue Holding d.o.o., a joint venture between Solarvalue AG and a Slovenian partner. For the first time, there is an acknowledgement of the transaction from Holding Slovenske elektrarne (HSE) in a October 27, 2006, Slovenian press release. Solarvalue foresees Slovenian regulatory approval of the transaction in early November. The amount of the transaction remains undisclosed. Solarvalue has provided a 5,300 metric ton solar grade silicon production target for 2008. In prior communication, Solarvalue has disclosed plans to produce up to 2,000 metric tons of solar grade silicon from metallurgical grade silicon in 2007. Solarvalue’s Slovenian partner in the WP Profil Solarvalue Holding d.o.o. joint venture intends to continue production of steel additives at the 22 hectare TDR facility, and the joint venture will employ a staff of 300 people. Up to 70 people will be employed in solar grade silicon production as the facility ramps. Maintaining and growing employment at TDR is no doubt an important factor in obtaining Slovenian regulatory approval. 20 million euros of investment is expected over the next six months to achieve solar grade silicon production. Two unnamed strategic investors will invest the majority of this capital. Solarvalue said on September 19, 2006, an undisclosed European photovoltaic group has signed a letter of intent to acquire a stake in the venture. Further details are promised in a planned near future press conference. One step forward and I now look toward Solarvalue obtaining Slovenian regulatory approval. I have developed some ideas about Solarvalue’s strategic partners and customers for solar grade silicon, and I suspect one of them is a new player with no current silicon supply for their idle or in construction solar wafer and cell production lines. Beyond these transaction issues, the next milestone for Solarvalue is the delivery and qualification of sample solar grade silicon material with solar wafer and cell manufacturers. You can read the Solarvalue press release on the DGAP ad hoc service (English, Deutsch).